Here are some questions/answers that we are frequently asked. If you have additional questions that aren't covered here, please feel free to give us a call at (410)730-0000. Our hospital is open Monday to through Wednesday and Friday from 8:00 am to 6:00 pm. We are closed on Thursdays, Saturdays, and Sundays. Yes, please call for an appointment or any other services need. By working on an appointment system, there is more effective time available for surgery, examinations, and treatments of patients. As emergencies sometimes occur, there may be a slight interference with our regular scheduled appointments. I can't make it for my appointment, now what? Should it become necessary to change your appointment, please call us and we'll happily reschedule. Its is customary that payment is made in full at time of check-out. Veterinary services that are paid in full by the time of discharge will receive a Paid-In-Full discount of 20% on the services for that visit. We reserve the right to rescind the 20% discount if payment is declined. When you bring your pet in for a recheck, we'll examine the healing of your pet's incision. Generally, procedures involving external sutures require them to be removed in 14 days following the surgery. Their is no charge for the suture removal and technician examination of the incision site. We do not board pets at this time. Is Dr. Negola Board Certified? 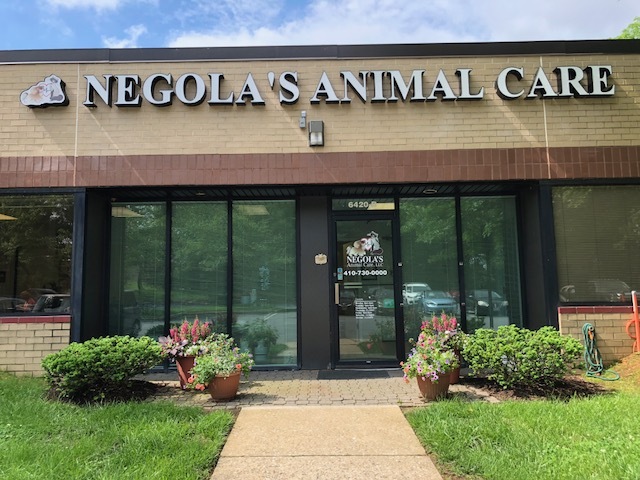 Yes, Dr. Negola is a Board Certified Diplomate with the American Board of Veterinary Practitioners, certified in canine and feline medicine.